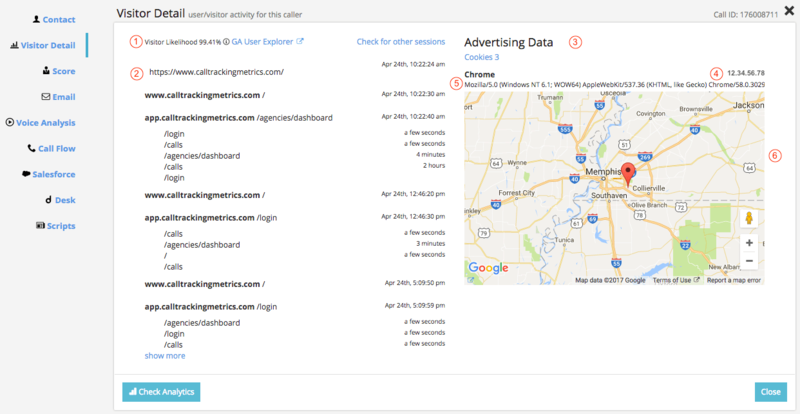 The Visitor Detail panel in your call log ties into the Session Data column in your call log. When the tracking script captures session data for a visitor, the full details of that data can be viewed from this expanded detail panel. Click in the empty space in the Session Data column or click Edit and then Visitor Detail to view the panel. Sometimes, especially if you have high traffic to your site, there will be more than one visitor on your website viewing the tracking number that was called at the time the call was made. The best matching visitor will be shown in your Session Data and Visitor Detail sections. You can check for other potential matches by clicking Check for other sessions in the Visitor Detail panel. All possible visitors associated with this call will be shown in a list. 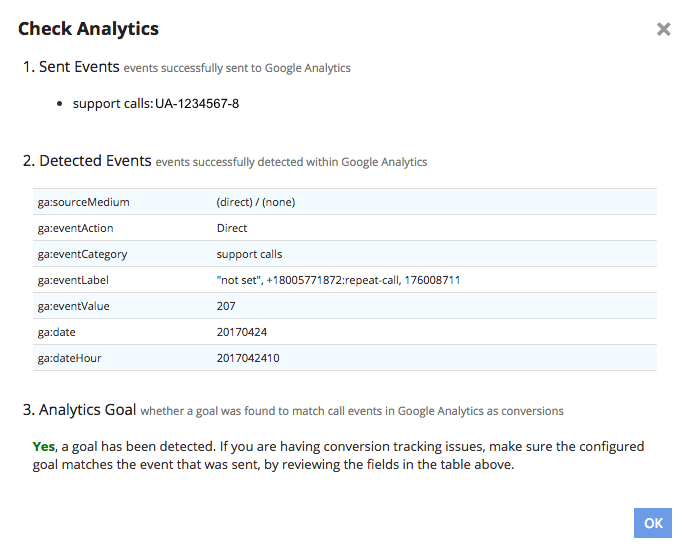 To change which session data is associated with this call, click the use or do not use buttons next to each possible visitor. If there is no session data associated with the call, “No session data” will be displayed in the panel.